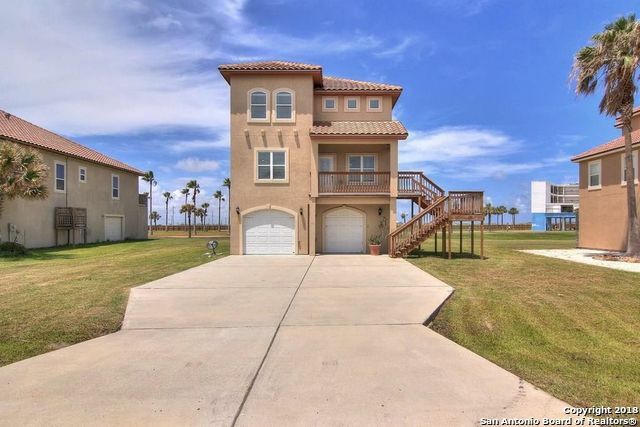 All Port Aransas homes currently listed for sale in Port Aransas as of 04/23/2019 are shown below. You can change the search criteria at any time by pressing the 'Change Search' button below. 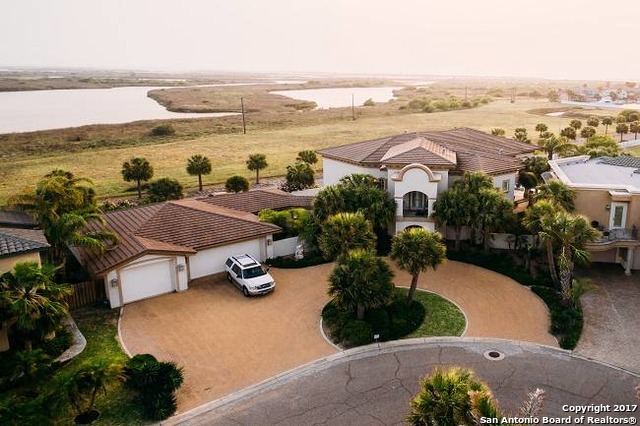 If you have any questions or you would like more information about any Port Aransas homes for sale or other Port Aransas real estate, please contact us and one of our knowledgeable Port Aransas REALTORS® would be pleased to assist you. "A Cabo-style resort on the edge of a private marina. Kitchen w/2 islands of rare Blue Louis granite, commercial style 6 burner gas range, double oven, BBQ patio & caterer's kitchen. Walk in wet bar w/African fossil inlaid limestone. Brazilian wood flrs upstairs, tiling in baths. 4 bdms down. Mstr, add'l bdrm & study up, all BR's ensuite with walk in closets. Elevator, guest quarters, 3 car garage with a/c tackle rm. 2 boat slips. Private gated community close to airport & Arnold Palmer Signature"
"Awesome beach house in Mariners Watch subdivision in Port Aransas! 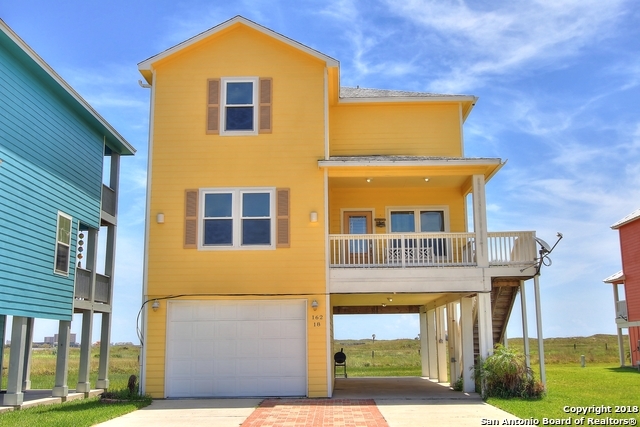 This 3 bedroom, 2 and a half bath house is on an over-sized lot and offers a private beach walkway! Great views from front and large back deck. Main floor has open floor plan with large living, kitchen/dining area and study/office. Upstairs master suite with tiled shower, two more bedrooms, another full bath, and a laundry room. HOA dues only $100/year! Ready for a beach-house with rental capability?" "This home is known as Canary Island and was designed with families in mind. Open kitchen, living and dining with beautiful vinyl plank and tile. Also on this level is a large master bedroom with private bath and a half bath in the hallway. There is a large covered deck off of the kitchen and dining with shade in the afternoon. The third floor has three bedrooms, two baths and a laundry closet. The master on this floor has access to the covered deck and an adjoining bath. 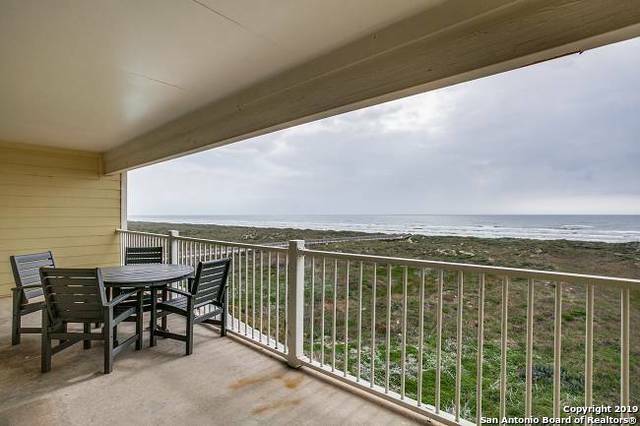 Great investment opportu"
"Lovely 3 bedroom 3 bath fully furnished condominium with incredible beach view in Port Aransas Texas. Bright and spacious open floor plan is perfect for unplugging and relaxing while enjoying an unobstructed view of the Texas Gulf Coast. Large and spacious master suite with balcony access. Spacious secondary bedrooms with en suite baths. Nice size laundry room with washer and dryer included. Complex amenities include large family pool, grill area and board walk. Short term rental approved."